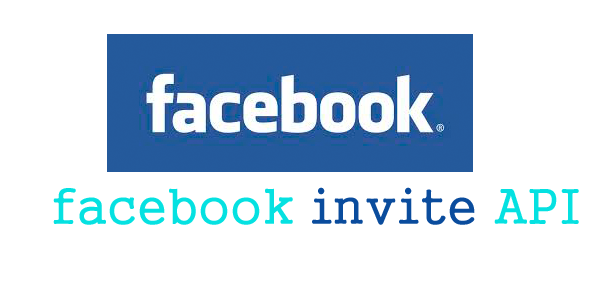 Create facebook application using facebook and send invitation to all our facebook friends, Facebook app creation is very simple. 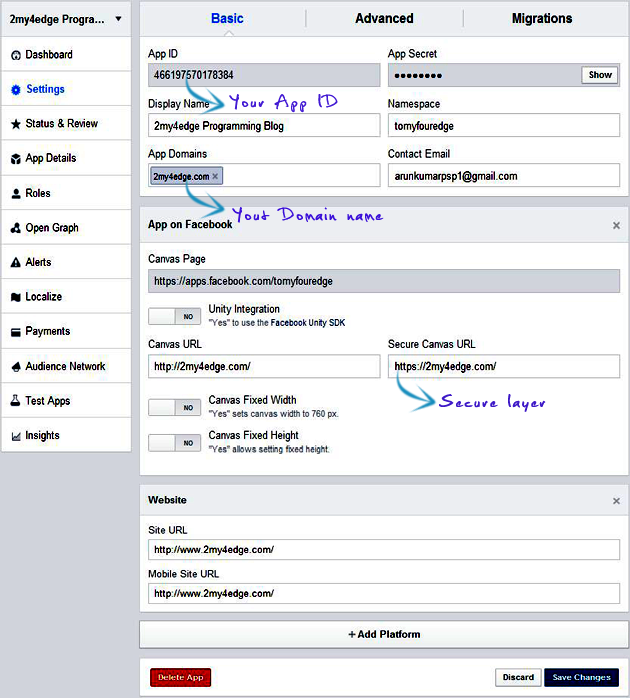 and using that facebook application we can bring your facebook friends to your site, for that we have create a facebook app and have to proceed some steps, let see what it is. Follow the steps, fill the blank field. as required. And you will get the application will be like this. Change as your App ID. Select friends who are want to visit your web site. and Done it. how do you set the app up to run on a fb page? You show a program, but where does it go if you want to run the app off your fb tab? You show a program but where to you enter that so it goes onto a facebook page tab? It will work in your site, tell me your site name. Everything is working fine , but i am not receiving any notification. 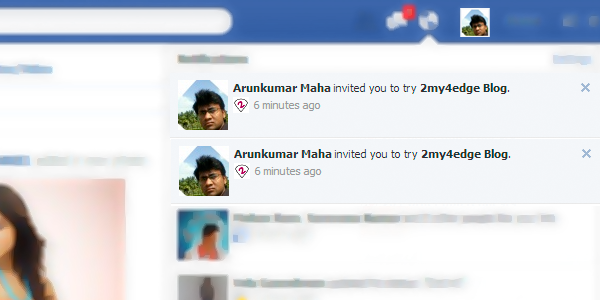 Actually to those i am sending invitation , they are not able to receive invitation. invite link on my site will only be visible to logged in users. hey guys thise who commented above ! the tutorial was right ! but you users would have done mistake in setting your API secret key or some misconfigurations ! hey frds just check Your Facebook Request all Notification Posted their. So this Code is Working But it posted in Request check it. code is working fine but not able to see any notification :(. I tried to do this procedure, but I not found this option: basic info under the settings option. Could you help with more details, please? Hi guys, I just tried the code. And its working. I assume u guys have not upload the file to server and run it on Facebook itself. Try giving your friend the developer rights, then send the invitation again. See if the codes work? notification is not getting in facebook.. any hint??.. Help ASAP. Sorry but I get an error in the invite dialog like: Given URL is not permitted by the application configuration. : One or more of the given URLs is not allowed by the App's settings. It must match the Website URL or Canvas URL, or the domain must be a subdomain of one of the App's domains. Given URL is not allowed by the Application configuration: One or more of the given URLs is not allowed by the App's settings. It must match the Website URL or Canvas URL, or the domain must be a subdomain of one of the App's domains. Everything is ok but the facebook iframe not getting the friends list...its loading for many many minutes but the loading never ends. I got the notification , but when I open it on facebook it show message like "<> refused connection". Hello Guy, I applied it on my webapp but it doesn't work. Writersdepartment.com - best company to find freelance job online. Looking for custom papers? You can find them at Paperwritten.com - best college paper writing company. DoMyHomework123.com - programming homework help.